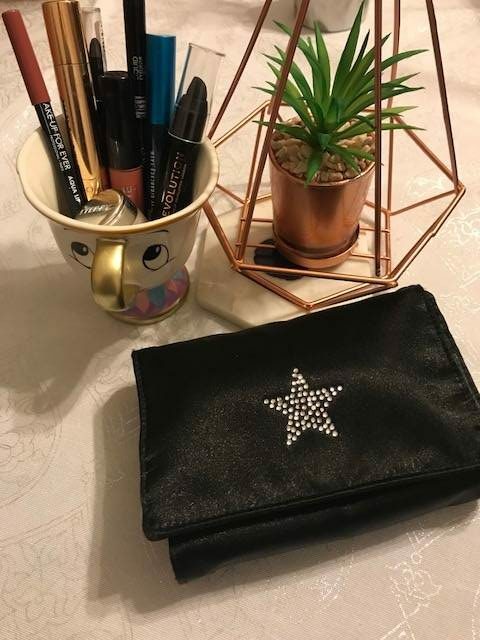 afshanesque February 21, 2018 Blog11 Comments on What’s inside your make up bag? Who doesn’t love a what’s in my bag? This one is more about what is in your makeup bag, so a bit more intimate. For those who are interested or just a little nosey! I must admit I also love to know, especially getting to know what is recommended. As you may know, I am a makeup addict, so really I have so much makeup that just won’t fit inside one makeup bag. So, I will be going through the makeup bag that I use everyday. I promise this is the best of my best, as I do use the products to make up my face everyday. Hence, I have to love these products! My lovely blogger friend Joanne Mallon at opposablethumbsblog.com has written her own makeup bag post and I have also participated or copied (hehe). 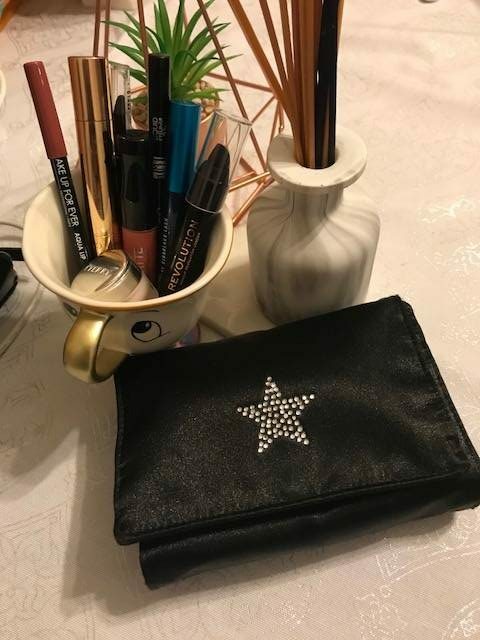 Do take a look at what’s in Joanne’s makeup bag! For mine, we can start with the morning essential and that is the trusty lip balm. Currently, I am using the Baume de Rose Lip Care (it’s mini, so can easily fit in the make-up bag). Next, are what I call the must-haves for work. These are eyeliner and mascara. I am currently using the Mac Extended Play Gigablack Lash, this is ideal for both top and bottom lashes as it has a slim brush. The eyeliner I use is the Eyeko Skinny Liquid Eyeliner, it is really shiny and makes my eyes pop. (Need to be careful though not the rub my eyes, as it smudges). Nevertheless, I like the look it gives me. I use the Rimmel Scandaleyes Micro Eye Liner, when I need a more dramatic look, but I don’t usually wear it for work. Charlotte Tilbury The Retoucher in 4, medium. I wear this instead of foundation, when I need a flawless and more intense look. The Makeup Forever Aqua lip in 2C is such a nice lip liner and is an ideal your lips but better lip liner. I absolutely love the Rimmel Stay Matte liquid lip colour in pink Bliss – 200. It not only stays on the lips, its a fab colour and it is so inexpensive. For root touch-ups, I carry the Makeup Revolution root cover up, as I tend to have stray white hairs that are visible and it’s so handy to hide the strays. So there you go, these are my holy grails at the moment and what I wear everyday and my makeup bag essentials. I hope you liked my favourites and post? 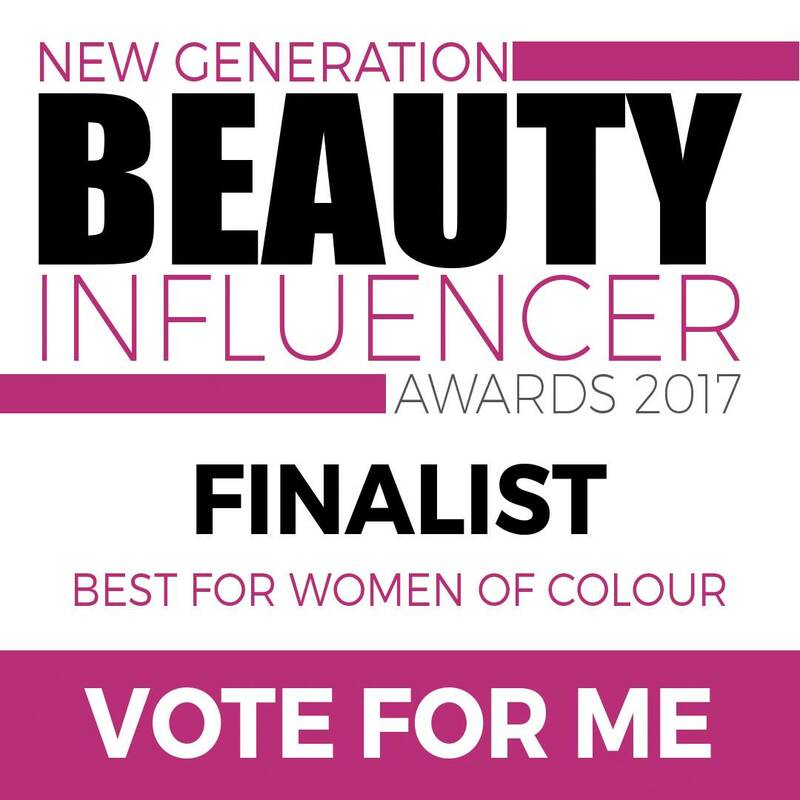 – What’s in your makeup bag? I’m super nosey so always love “what’s inside my” posts. Everything in your everyday make up bag sounds amazing, especially the Charlotte Tilbury Retoucher. I have a massive soft spot for all of her makeup! I tend to stick with the same old products over and over, but you’ve inspired me to try something new. Love the sound of that eye-popping eyeliner! 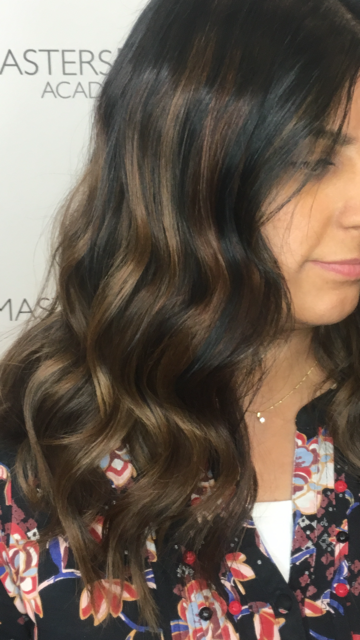 I didn’t know Makeup Revolution did a root spray – I’m off to check it out. Could save me a fortune! 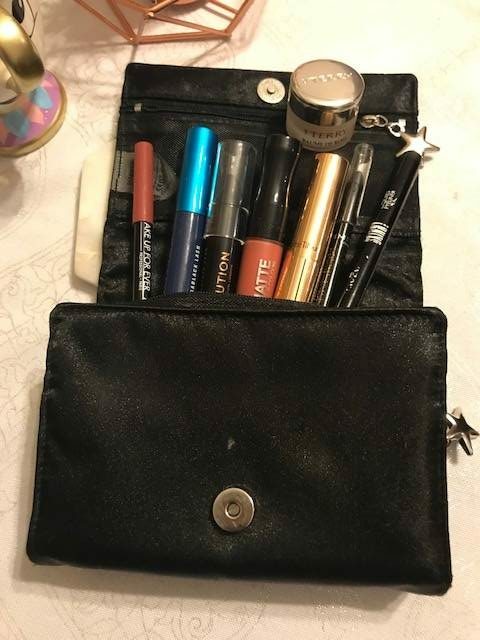 I keep all of my makeup in drawers to keep it more organised, however my bag itself is a different story, filled to the brim with a variety of liquid lipsticks! My favorite item in my makeup bag is the beauty blender. It’s like a sponge foundation applicator. The goal after all is to make it look like your not wearing any makeup, and the beauty blender is perfect for applying just enough for perfect coverage. I love this post I like knowing what other people have it makes want to try it. Ooh I am so nosy and love seeing what products other people use. I saw an advert for Charlotte Tilbury pop up on my Facebook last night actually!